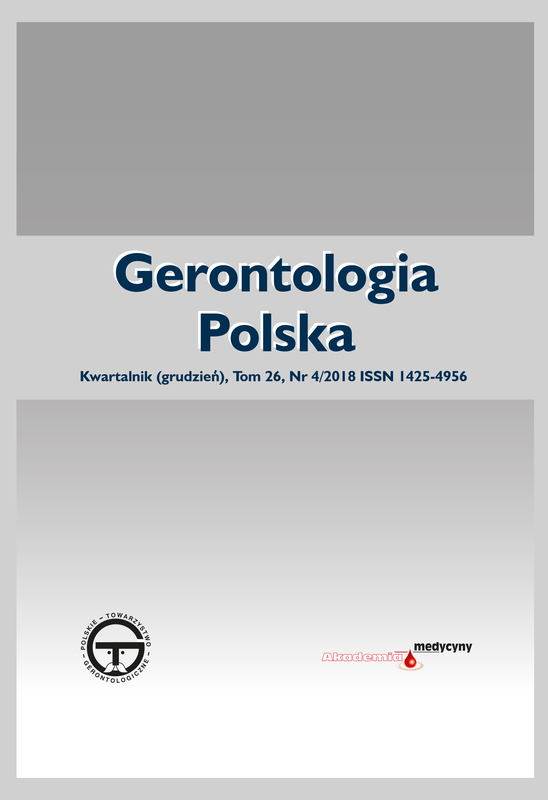 The owner of the journal Gerontology Poland is Polish Society of Gerontology. The owner of the site is the Polish Gerontology Publisher Academy of Medicine, based editorial office in Warsaw at ul. Silver 16; postal code 00-810, entered into the business register number 449816, NIP 922-229-09-48. Publications included in the magazine and on the website www.akademiamedycyny.pl/gerontologia are intended only for persons authorized to issue prescriptions and persons engaged in marketing in medicinal products within the meaning of the Act of 6 September 2001. – Pharmaceutical Law (Journal of Laws No. 126, item. 1381, as amended. changes and regulations).